Imagine this case : you have recently developed some high-end essential oil products, all in small cute 10ml bottles, then what you need is a suitable tube packaging boxes that can protect it well and attract customers’ attention in the same time. Here is such a nice tube packaging box designed exclusively for this purpose. Made of 350g SBS with decoration realized by 90g double chrome paper, the box is itself an explanation of high-end material for product of high quality, not only for protection, the massive touching gives a comfortable feeling and the special printing can make people more wondering about the product inside. What’s more, this is a universal package, you can put different essential oil in same specification all using the same series of packaging box, this can not only reinforce the brand recognition but also reduce the cost. 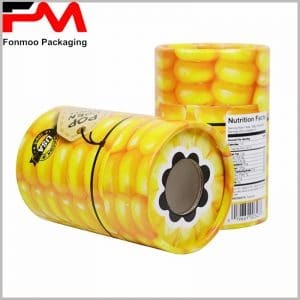 Professional manufacturer exclusively for tube packaging box as we are, we have a whole team standing by for serving you and to respond to any request. Just contact us and communicate the needs, then let us do the rest of work to offer you the best customized high-end essential oil small tube packaging box.